Sandblasting and etching are methods of decorating or marking the surface of glass or mirror panels and sheets using abrasive or chemical agents. 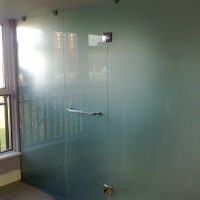 They are similar effects that have been used traditionally for many years, and lend themselves to both traditional and bespoke and original designs on glass and mirror. The etched effect is more commonly achieved today by sandblasting since this avoids the use of very harmful chemicals. 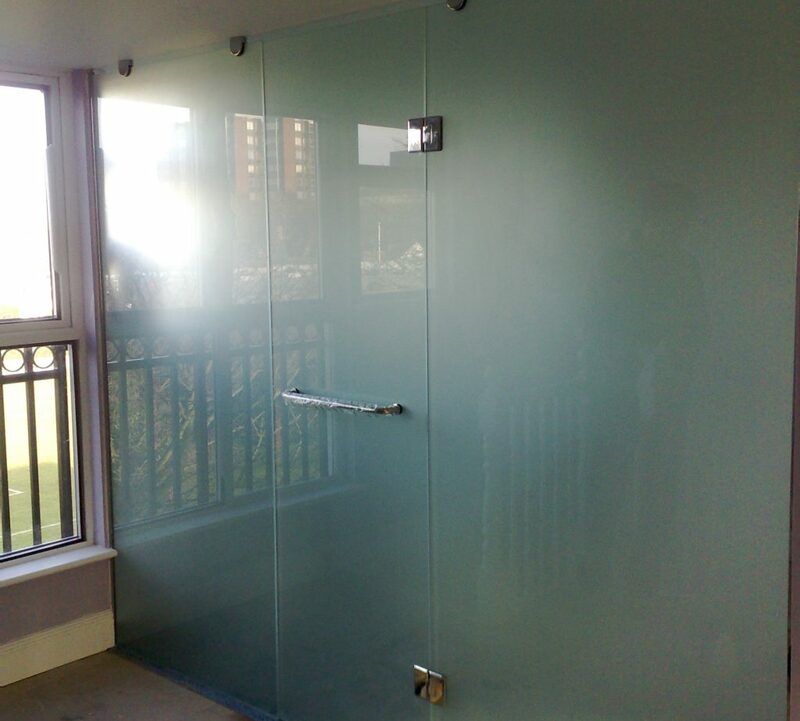 As well as decorative effects, sandblasted glass provide privacy, yet maintains good levels of light. These panels are used for house names and numbers and in fanlights over doors, signage etc – sandblasting works well for producing panels with numbers, text and borders. We also produce decorative panels by this method and as well as shallow surface sandblasting, we can sandblast in different layers and depths, to provide modelling of light and shade. This can be used to great decorative effect for logos, images, crests, etc, as well as lettering and text. Sandblasted glass for windows may be incorporated into double glazed units and the base glass may be laminated or toughened for additional strength, security and safety. 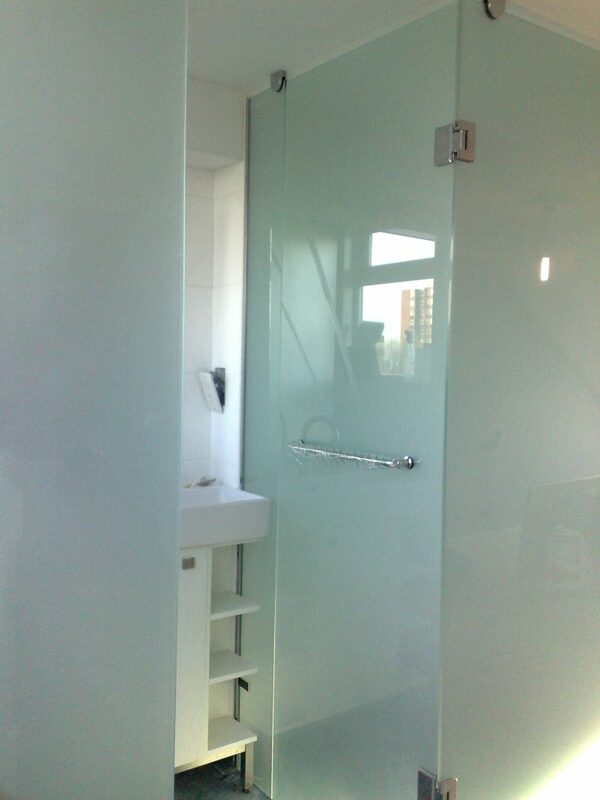 It is an alternative to textured patterned glass where decoration or privacy is required. Sandblasted (and etched) glass panels are designed and produced in our own workshop. We can treat large panels, and have our own in-house graphics expert to design and prepare the art work, provide proofs, etc. – we can also work from your designs. 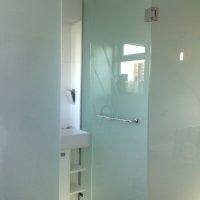 London glass merchants, suppliers and stockists of glass & mirror. We offer a full service for smaller and larger glass and mirror projects to individuals, architects, interior designers and contractors.